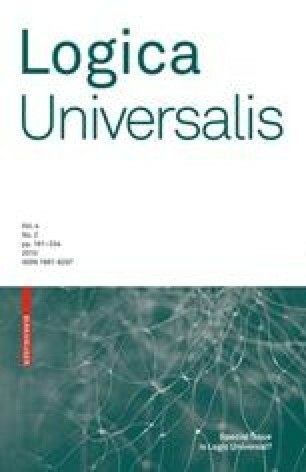 This paper addresses questions of universality related to ontological engineering, namely aims at substantiating (negative) answers to the following three basic questions: (i) Is there a ‘universal ontology’?, (ii) Is there a ‘universal formal ontology language’?, and (iii) Is there a universally applicable ‘mode of reasoning’ for formal ontologies? To support our answers in a principled way, we present a general framework for the design of formal ontologies resting on two main principles: firstly, we endorse Rudolf Carnap’s principle of logical tolerance by giving central stage to the concept of logical heterogeneity, i.e. the use of a plurality of logical languages within one ontology design. Secondly, to structure and combine heterogeneous ontologies in a semantically well-founded way, we base our work on abstract model theory in the form of institutional semantics, as forcefully put forward by Joseph Goguen and Rod Burstall. In particular, we employ the structuring mechanisms of the heterogeneous algebraic specification language HetCasl for defining a general concept of heterogeneous, distributed, highly modular and structured ontologies, called hyperontologies. Moreover, we distinguish, on a structural and semantic level, several different kinds of combining and aligning heterogeneous ontologies, namely integration, connection, and refinement. We show how the notion of heterogeneous refinement can be used to provide both a general notion of sub-ontology as well as a notion of heterogeneous equivalence of ontologies, and finally sketch how different modes of reasoning over ontologies are related to these different structuring aspects. This paper is an expanded version of , with material drawn from [109, 110, 112, 114].